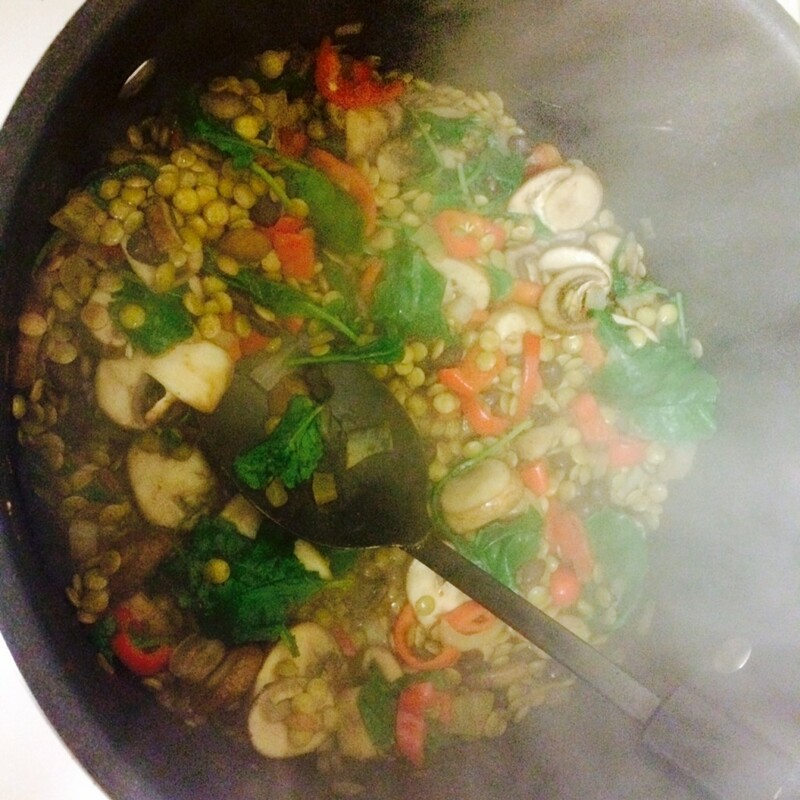 I decided to use the Diced Tomatoes in Juice to make a dish using another favorite kitchen staple – lentils. 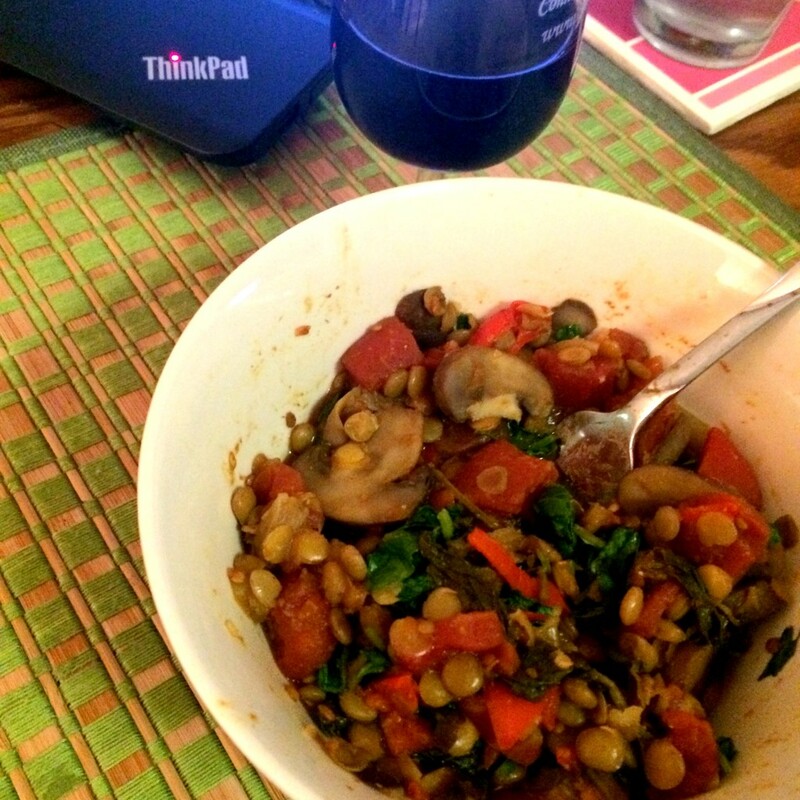 Whipping up Little Broken’s Lentil Chili was super easy. 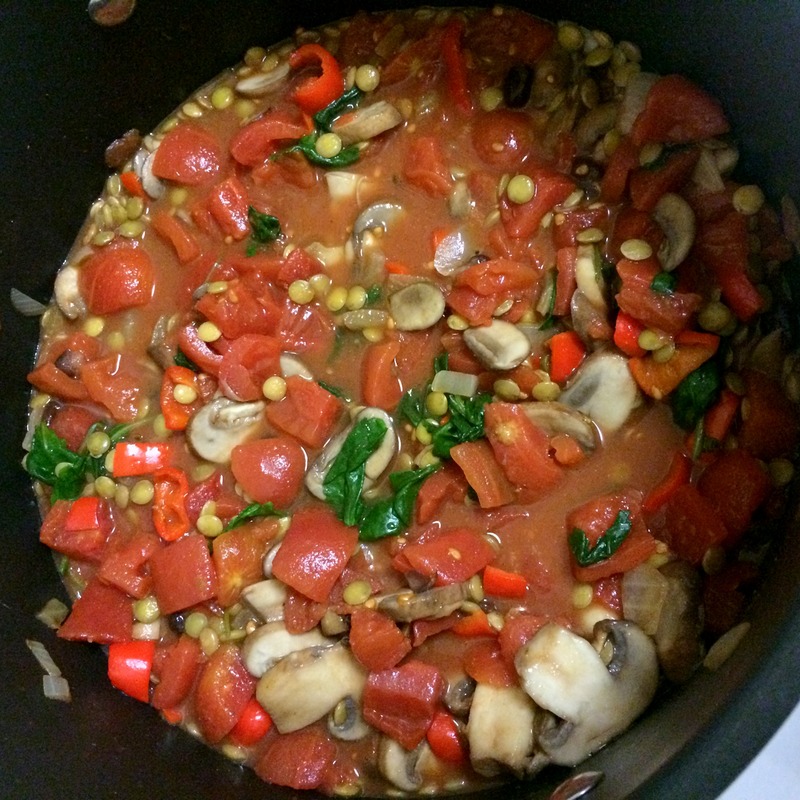 Once most of the ingredients were assembled in the pot, I added the diced tomatoes, turned the heat on low, and placed the lid on the pot to let the chili simmer and thicken. Redpack has been celebrating Carnevale, a traditional winter festival held for centuries in Italy. This festival, like most, involves a lot of partying and good, hearty food. Tomorrow (3/3) is the last day to enter Redpack’s Carnevale giveaway on their Facebook page. The grand-prize winner will receive a pasta stock pot and cooking set, plus Redpack products. Comment on this post and tell me your favorite kitchen staple. 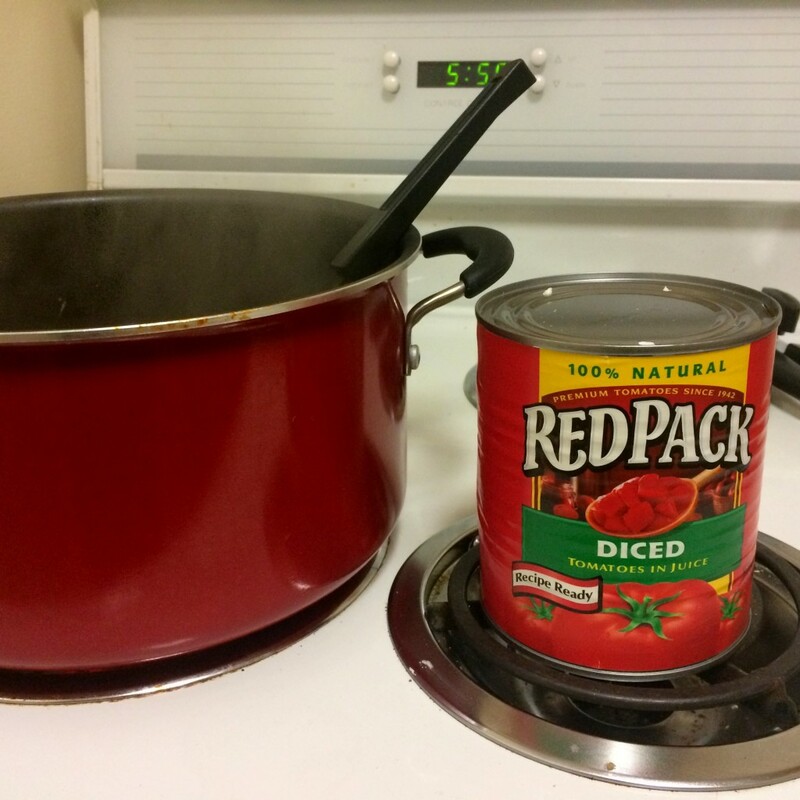 Tweet “I entered to win @redgoldtomatoes products from @caitplusate! http://caitplusate.com/?p=13703” and comment here with the link to the tweet. Good luck guys, and Happy Monday!